There is a very good and persuasive argument that planning laws contribute to making us all poorer. We know, for example, from the work of Hilber and Vermeulen (2014) that “house prices in England would have risen by about 100 percent less, in real terms, from 1974 to 2008 (from £79k to £147k instead of to £226k) if, hypothetically, all regulatory constraints were removed”. 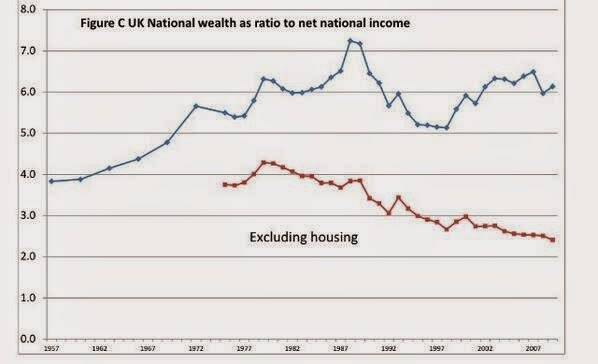 Many other estimates agree and as Kristian Niemietz notes in Redefining the Poverty Debate these likely understate the issue considerably because they assume that no planning controls existed prior to 1974 and the model assumes further development restrictions. That said, I think focusing on laws which contain restrictions rather than laws which contain powers lets our elected officials off too easily. Notwithstanding the huge detrimental effect of planning laws, we have laws that would allow for a lot more house building than we currently have and they aren’t utilised for political rather than legal reasons. This distinction matters: politicians cannot be allowed to fall back on “the planning system constrains me” by default. In addition, if there are political reasons, we can try to impress a countervailing political pressure. The Mayor of London, for example, could use his powers to call in any planning application of strategic importance (this includes where more than 150 homes are proposed). This power would essentially allow the Mayor to act as the planning authority for a particular application – giving the application friendlier treatment than a local council might. The Mayor also has powers to set up ‘Mayoral Development Corporations’ for the purpose of securing regeneration of an area. These MDCs have the power to be a local planning authority and determine applications directly. To date, there have only been three MDCs. These MDCs have their own local development plans (used to determine planning applications) and have the power to direct other local authorities to amend their local development plans so that they are more pro-housing. This is not restricted to London, Urban Development Corporations can be set up across the country – and they simply are not. Infrastructure provides yet another potential example: the government recently amended the Planning Act 2008 so that housing could be incorporated into the streamlined process for obtaining consent for large infrastructure projects (for example, a rail link or even nuclear power plants). But the government limited this to 500 homes – an entirely arbitrary number. Moreover, the government could use transport infrastructure bills to accommodate housing. Acts of Parliament have no limitations and, indeed, in the Crossrail Act 2008, a process was implemented which essentially allowed for circumnavigating local councils on some issues. Planning reformers are rightly concerned about the Town and Country Planning Act 1990. But its not the only way to get more housing: there are legal powers that allow for a more liberal approach to be taken, and they are not used. The pressure we can exert to get officials to use their powers is no substitute for changing and amending the laws – but whilst we’re waiting for full liberalisation, we might as well have a go at officials who can make a difference, but choose not to.